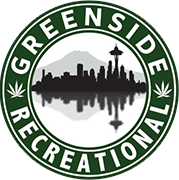 Every year, thousands travel to Seattle to hit the top Weed Events, but not without stopping first to stock up on terpy goods from us here at Greenside Recreational. Below is a list of must attend events if you’re not already in the know. This 420 celebration gathers people to celebrate and enjoy the cannabis community. They will have a raffle, live music, food, joint rolling sessions, and their famous chocolate fountain for dessert. The party starts on 4/20 at 4:20, as you’d expect! Not quite in Seattle, this event in Eugene, OR celebrates legal marijuana in style. They’ll have hemp cannabis products, accessories, tools, grow and harvest equipment and much more. It’s going down November 14-15, 2015. Billed as the world’s leading marijuana trade show, this event has competitions, instructional seminars, expositions, celebrity appearances, concerts and product showcases Although the Seattle event was cancelled in 2015, we’re hoping it’ll be back and better than ever next year! If not, you can always head down to Portland to check it out there. HEMPFEST is a free event with tons of bands, a Business Mixer, huge array of vendors offering all kinds of products. If there is one event you go to, this is the one. In 2016, HEMPFEST will be celebrating it’s 25th anniversary on August 19-21st.